Please Note: Eating raw or undercooked fish and shellfish can lead to foodborne illnesses. Before placing your order, please inform the Snug Harbor Fish staff if a person in your party has a food allergy. Thank you! One of our customer favorites, our savory New England Clam Chowder features a delicious blend of clam meat, potatoes, onions, celery, and a variety of flavors and spices. Our soup menu changes daily, but one thing never does: great taste! Some of our favorite Soups of the Day include: Lobster Bisque, Portuguese Shrimp Gumbo, White Fish Stew, Scallop Corn Chowder, Shrimp and Corn Chipotle Chowder, and a Creamy Loaded Scallop and Bacon Chowder. Discover what we have to offer for our freshly prepared soup today. We are known for having the most delicious (and addicting!) Homemade French Fries. It’s because we hand-cut the fresh potatoes in-house each day, lightly fry them in oil, and add our special spice to them—a New Orleans mix of herbs and spices. We hear a lot of “ooohs” and “aahhs” for our amazing Homemade Crab Cake. Packed with lump crab meat, tons of flavors and spices, and made with buttery cracker crumbs, this Crab Cake is lightly fried and served as an appetizer with our house made roasted bell pepper remoulade. 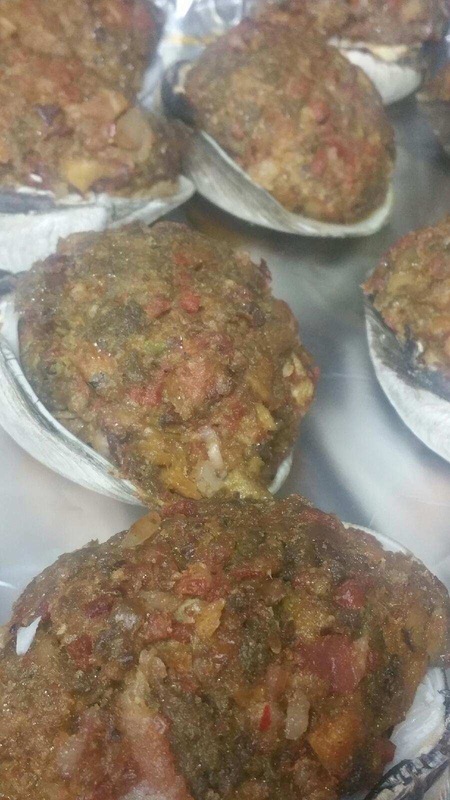 For our baked Stuffed Portuguese Quahog, we put together quahog meat, chopped onion and celery, bacon, chorice, a touch of Tabasco, and a bay leaf creating a unique and delicious flavor combination. Our Gulf Shrimp Cocktail appetizer is one of our signature dishes, and it’s because we keep the preparation simple. We peel and devein all of our fresh shrimp in-house each day, boiling the shrimp with fresh lemon and bay leaves, then chilling it and serving it with cocktail sauce and lemon wedges. 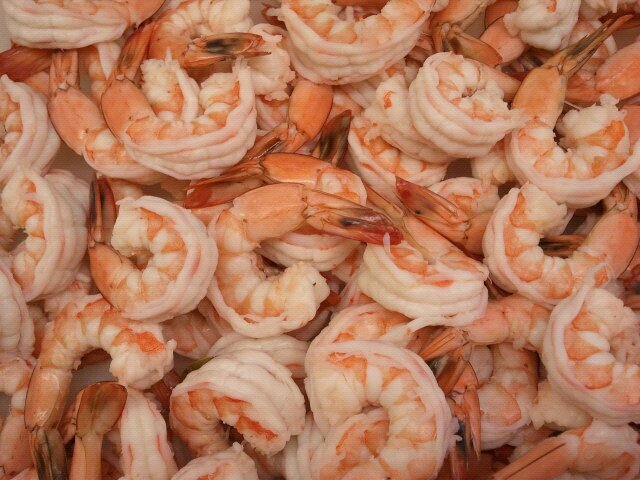 Pick up some cooked shrimp in the fish case to take home with you—it’s the perfect addition to any meal. 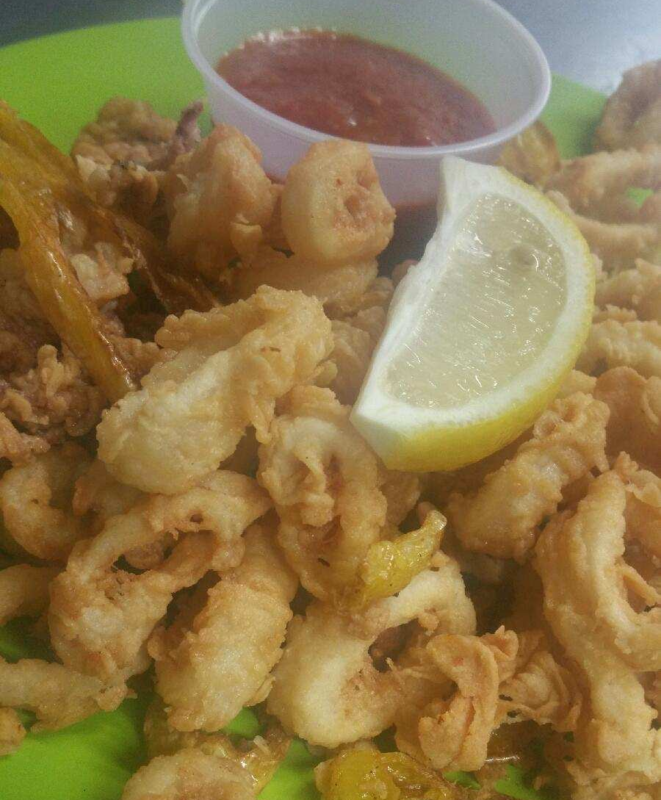 What sets our fried calamari apart from the rest? We prepare the fresh squid in-house daily, lightly battering and frying it to perfection. We make sure to load each dish with the best crispy rings and tentacles mixed with hot and sweet vinegar peppers. 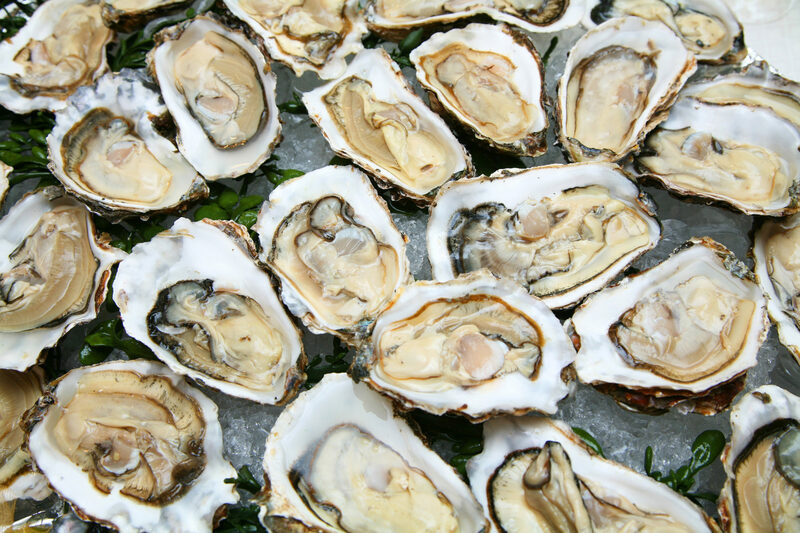 We offer a variety of Duxbury oysters all harvested within half a mile from our store! These oysters are shucked on the half-shell and served over ice giving you the real New England experience. These oysters are extremely well-balanced, and taste perfect on the Snug Harbor patio on a beautiful summer day. All sandwiches served with your choice of a side. 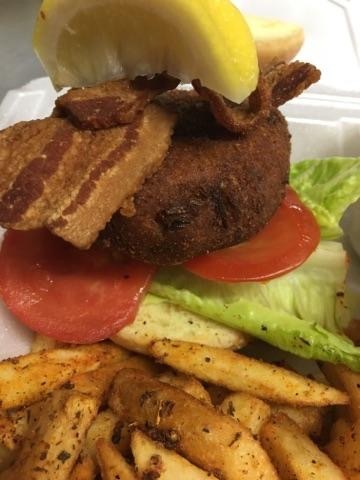 The Crab Cake BLT features our delicious Homemade Crab Cake served with bacon, lettuce, and tomato served with our house made roasted bell pepper remoulade on a brioche roll. Enjoy a delicious taste of summer with our Fish Tacos. This dish includes two tacos. 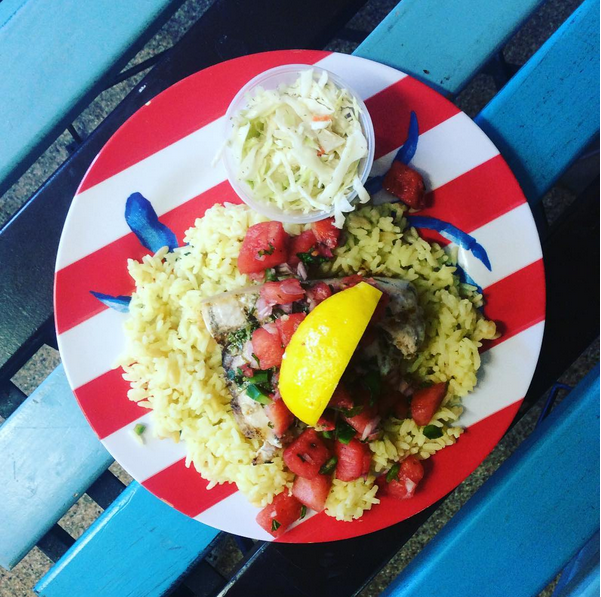 The fresh local white fish is lightly fried and is served with a tasty cilantro lime slaw. A customer favorite, the Barbecue Salmon Sandwich features a meaty cut of our organic Faroe Island farm-raised salmon marinated in a homemade barbecue sauce, served with grilled Bermuda onions and pepperjack cheese on a brioche roll. For our Fried Fish Sandwich, we use pollack because it is a fish that is fresh, local, and sustainable. 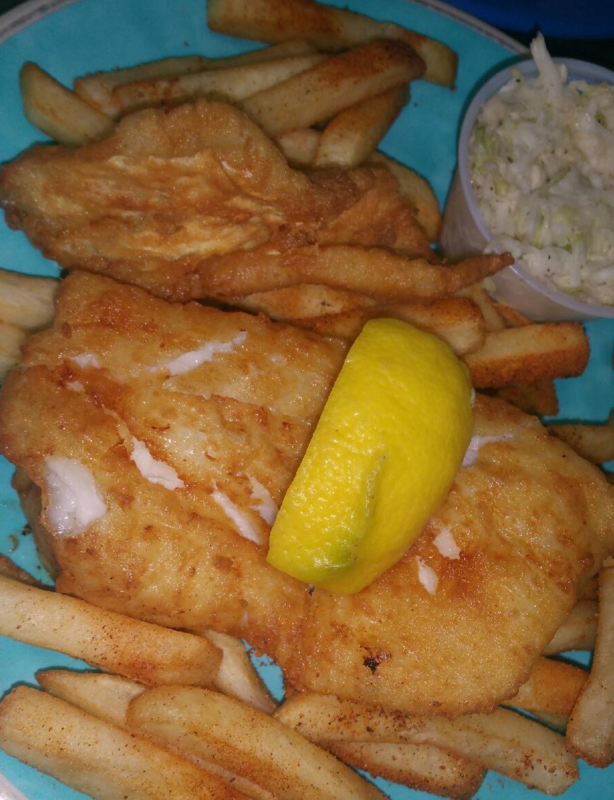 You can request the Fried Fish Sandwich be made with cod or haddock for an additional charge. We prepare the Fried Fish Sandwich by simply breading and lightly frying it. Served with lettuce, tomato, onion, and American cheese. 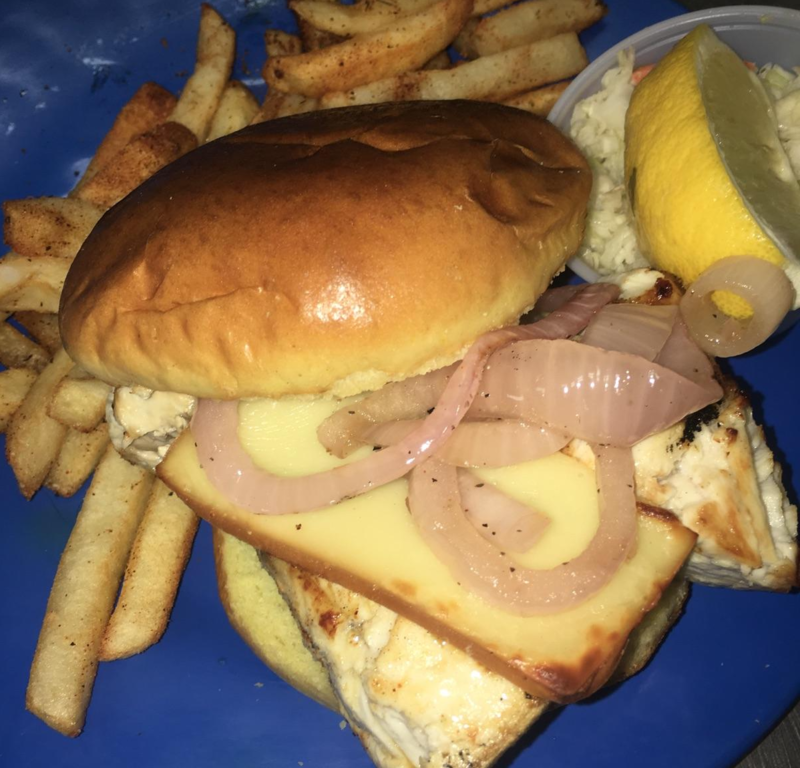 Our Grilled Swordfish Sandwich features a delicious, meaty cut of our fresh swordfish, marinated in a homemade vinaigrette and served with grilled Bermuda onions and smoked Gruyere cheese. 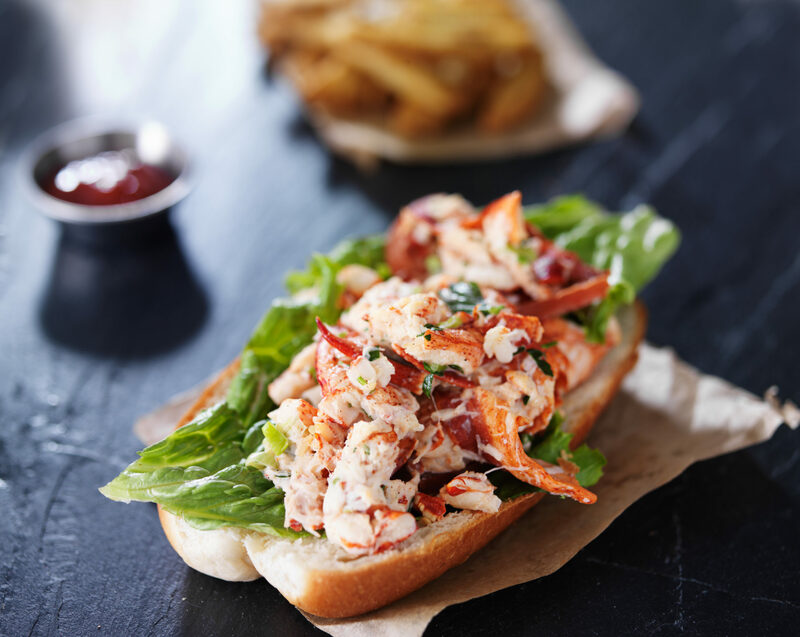 Customers come to Snug Harbor in search of the perfect summer sandwich…and our lobster roll does not disappoint. We let the seafood shine and don’t crowd the meat with lots of extra stuff. This sandwich is packed with lump lobster meat, the right amount of mayonnaise, lemon juice, celery, and spices, served on a toasted hot dog roll with lettuce. Can be enjoyed as a hot or cold sandwich. All grilled meals served with your choice of a side. Our Gulf White Shrimp are cooked over the grill using a homemade marinade. Our Atlantic Salmon Tsukeyaki features a meaty cut of our organic Faro Island farm-raised salmon marinated in a Tsukeyaki sauce, which is a delicious blend of soy and teriyaki. The Swordfish Steak features a delicious, meaty cut of our fresh swordfish, marinated in a homemade vinaigrette, and grilled. 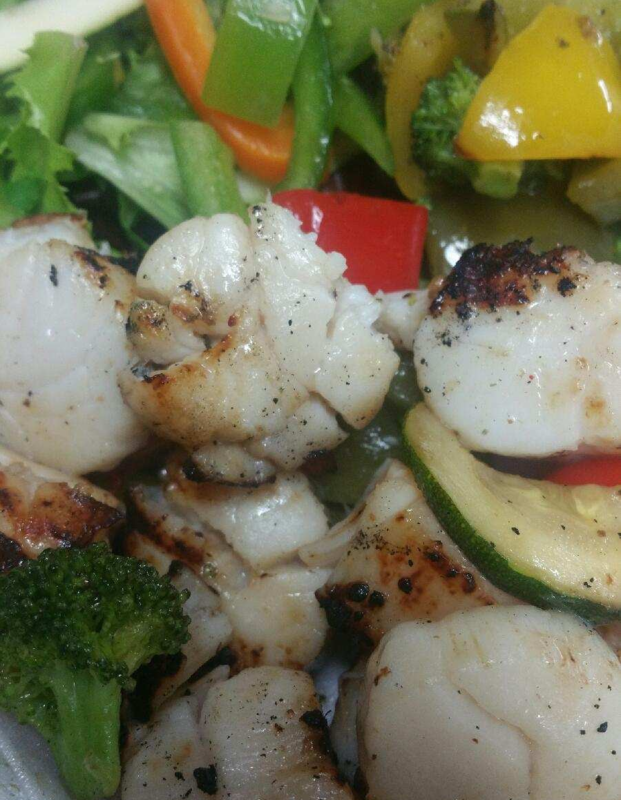 Our juicy and tender large bay scallops are cooked over the grill using a homemade marinade. 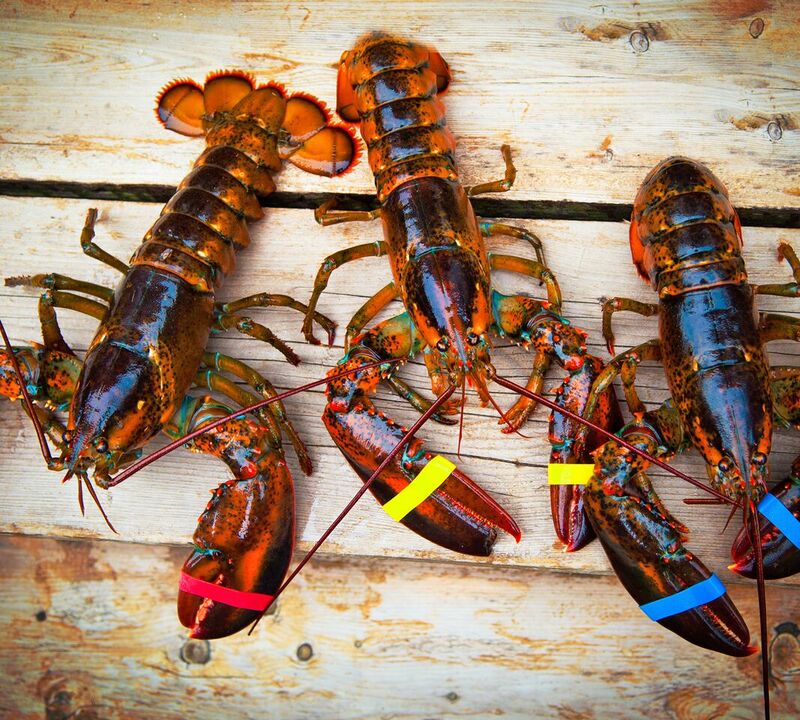 Our cooked lobster dinner comes with lobsters in 3 different sizes—Chix (1lb. to 1.25lb. ), Medium (1.25lb. to 1.5lb. ), and Select (1.5lb. to 2+ lb.) sizes. Served with a pint of steamers, corn on the cob, a cup of clam chowder, and cole slaw.